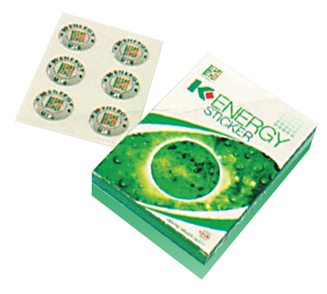 In electrical appliances, the K-Energy Sticker’s main function is to help minimizes harmful electromagnetic waves emitted by mobile phones, televisions, computers, microwaves and etc which can be harmful to the human body. Meanwhile in automobiles, it can help to prolong the lifespan of engine, help save fuel consumption, improves lubrication and lessen piston friction in engine, clean carbon deposits from the engine and fuel tank besides improving the car’s performance and minimizes air pollution. Also by using the K-Energy Sticker, the engine will run smoothly and powered to its best performance.